Compared to other systems, the MultiBase 2078i is characterised by its low installation height. This is made possible by the inclined platforms. 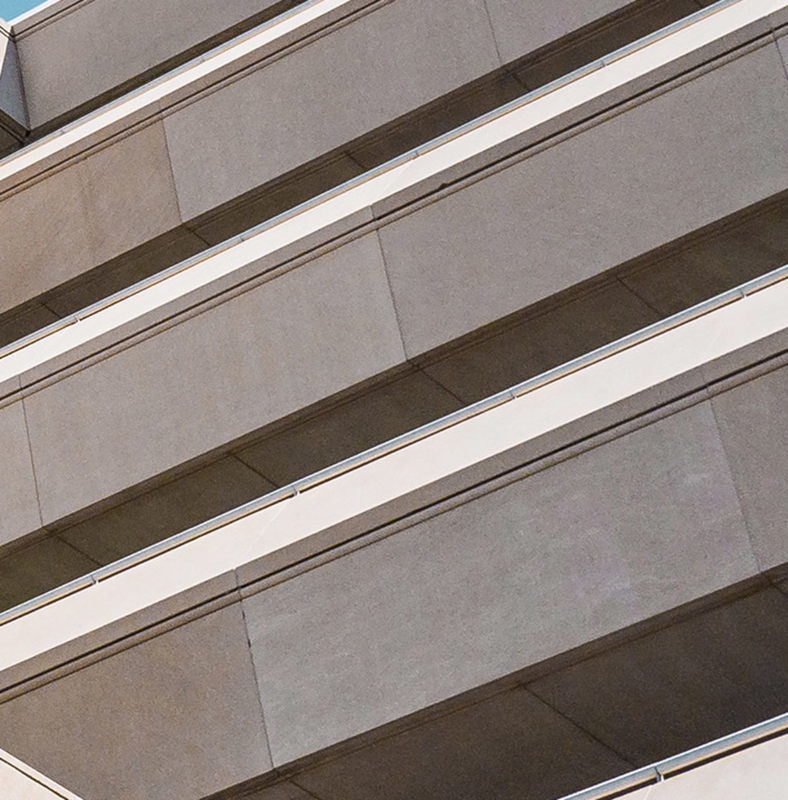 The MultiBase 2078i not only saves a lot of space, but also provides increased load capacity, parking space and comfort – despite its lower height! The offset steel pillar lets car doors open further, thus ensuring comfortable entry and exit. 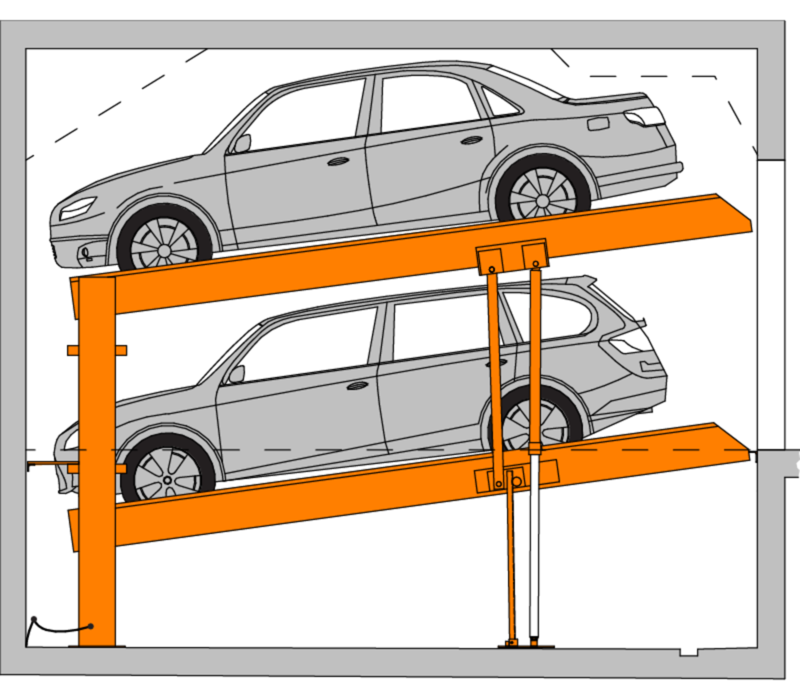 Another advantage is that the MultiBase 2078i can be used to park heavy vehicles up to a height of 2,150 mm. Upgrades and optional extras available for your KLAUS parking system. Superseding the 2062 system, the MultiBase 2072i is now built to handle wider, heavier, and taller vehicles. 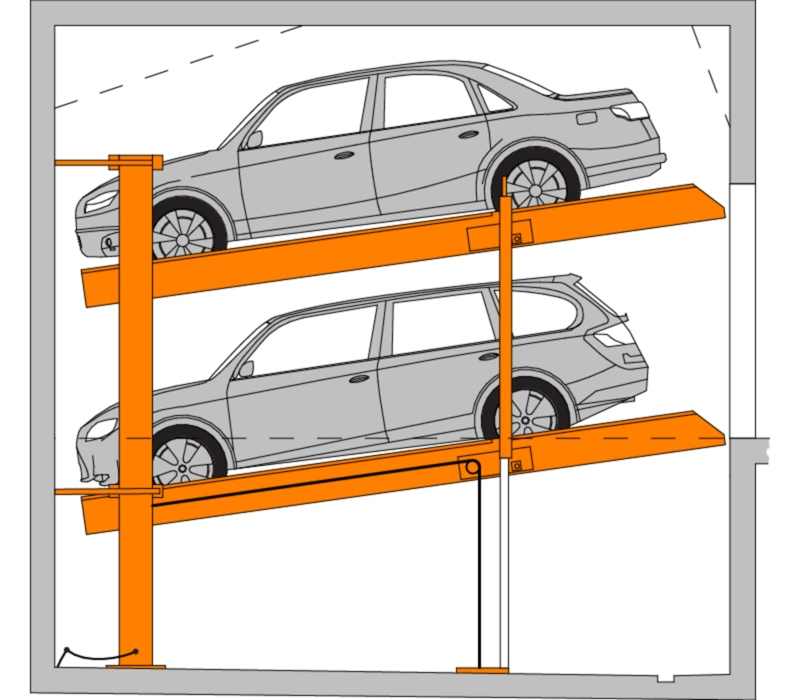 The MultiBase G82 operates at an incline to use limited space efficiently. 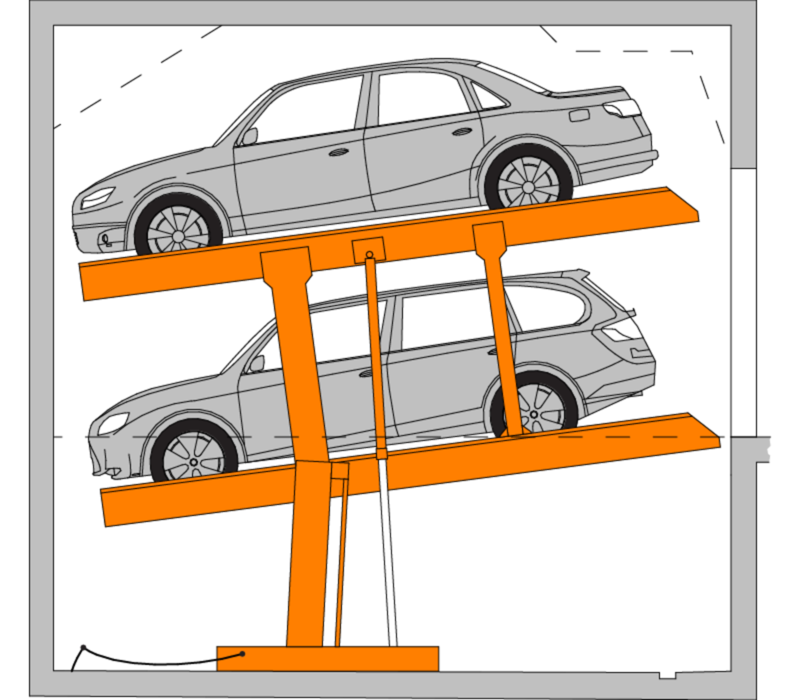 Vehicle heights of 1500-1800mm are catered for. An economical system that uses limited space efficiently. 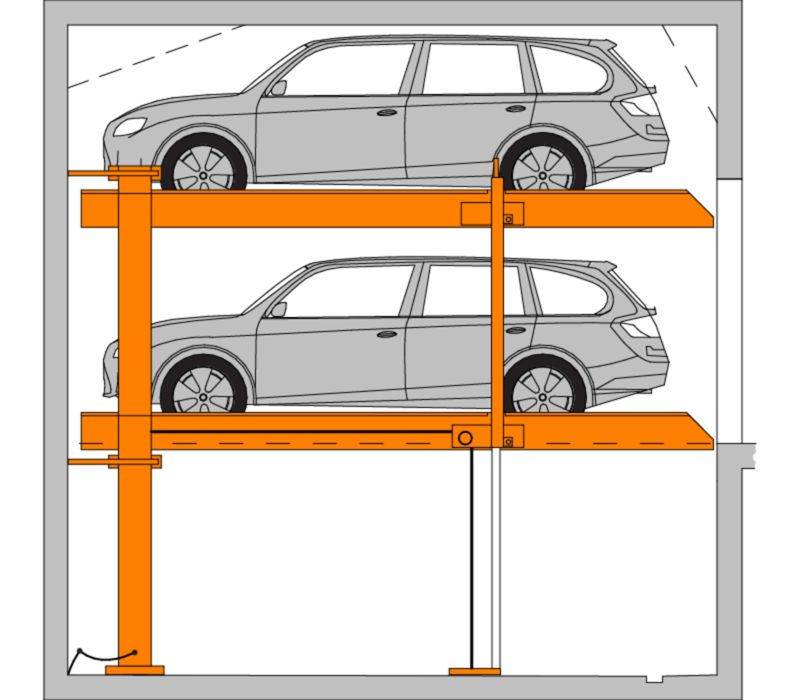 Both platforms are accessed at a slight incline to store vehicles 1500-1540mm in height.